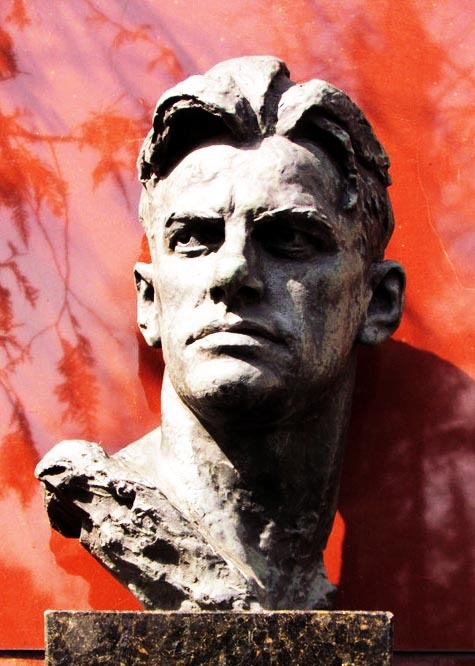 "Mayakovsky is a hero of the revolution"
"He is the best and most talented poet of our Soviet epoch." I am not an admirer of his poetical talent, although I admit that I am not a competent judge. But I have not for a long time read anything on politics and administration with so much pleasure as I read this. 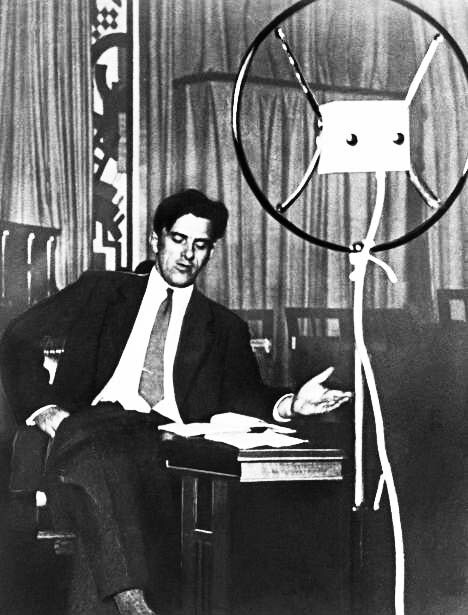 In his poem he derides this meeting habit, and taunts the Communists with incessantly sitting at meetings. I am not sure about the poetry; but as for the politics, I vouch for their absolute correctness. 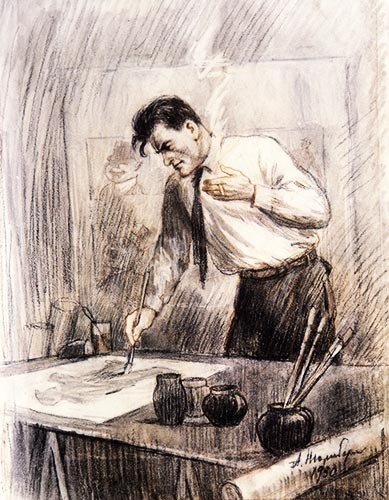 We are indeed in the position, and it must be said that it is a very absurd position, of people sitting endlessly at meetings, setting up commissions and drawing up plans without end. There was a character who typified Russian life—Oblomov. He was always lolling on his bed and mentally drawing up schemes. That was a long time ago. 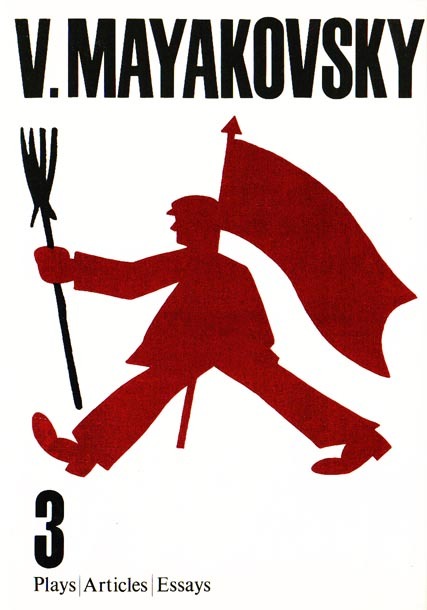 Russia has experienced three revolutions, but the Oblomovs have survived, for there were Oblomovs not only among the landowners but also among the peasants; not only among the peasants, but among the intellectuals too; and not only among the intellectuals, but also among the workers and Communists. 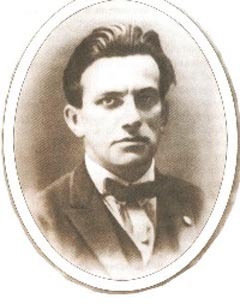 He was born in a Bagdady village of Kutaisi province. His father was a nobleman, who served the forest warden. His mother - from clan of Kuban cossacs. 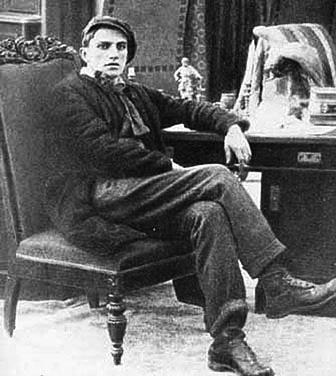 In 1902 — 1906 Mayakovsky studied in the Kutaisi grammar school. 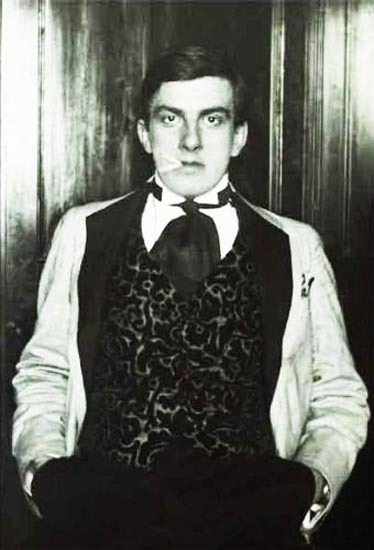 in July, 1906, after death of the father, together with the mother and two sisters Mayakovsky moves in Moscow, where he go in IV class of 5-th classical grammar school (for non-payment of money for training he was excluded from V class in March, 1908). 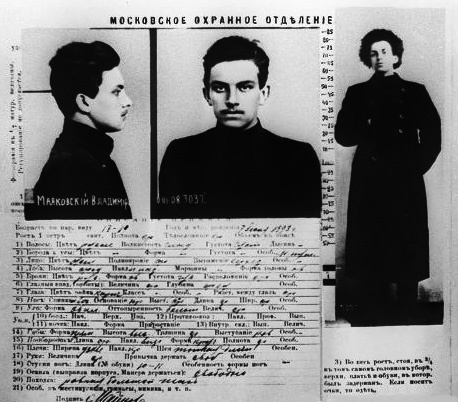 In Moscow Mayakovsky gets acquainted with revolutionary students, takes a great interest to the literature of K. Marx, enters in the beginning of 1908 a party of bolsheviks, is exposed to arrests, 11 months will carry out(spend) in prison, whence is exempted in January, 1910 as the minor. 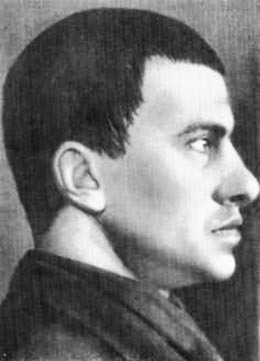 In prison Mayakovsky has written book of verses (1909), which was selected by supervisors; from it the poet estimated a beginning of the creativity. 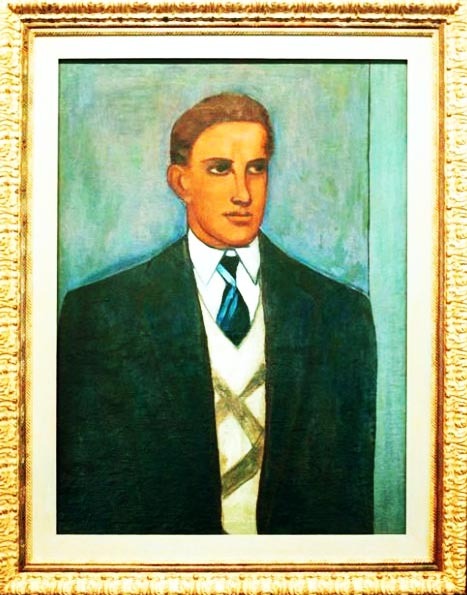 After clearing from prison he interrupts party work, that " to make socialist art ". 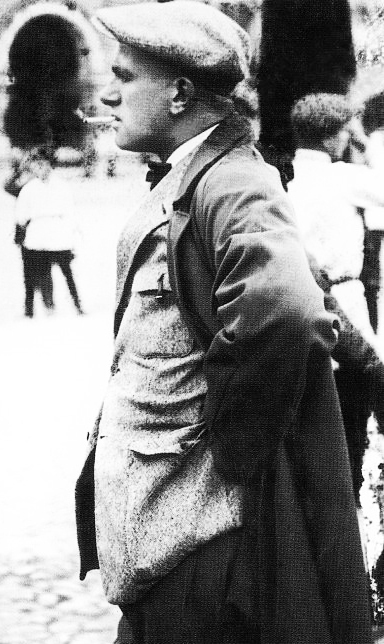 In 1911. 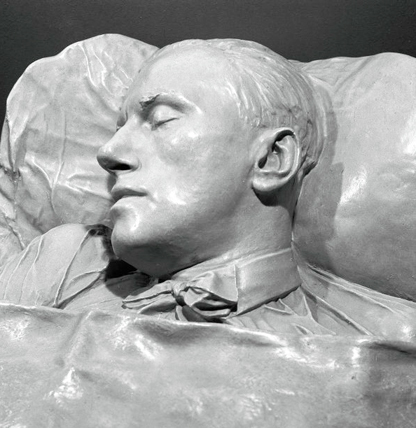 Mayakovsky acts in a Moscow Institute for the Study of Painting, Sculpture and Architecture. 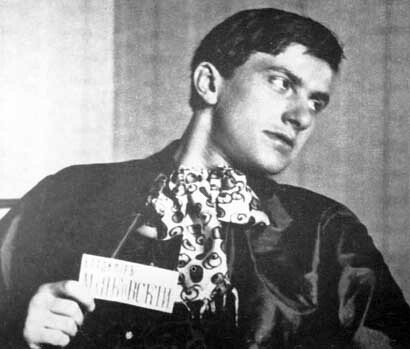 Mayakovsky's career as a poet was born in 1912, as the result of a late-night conversation with David Burliuk. 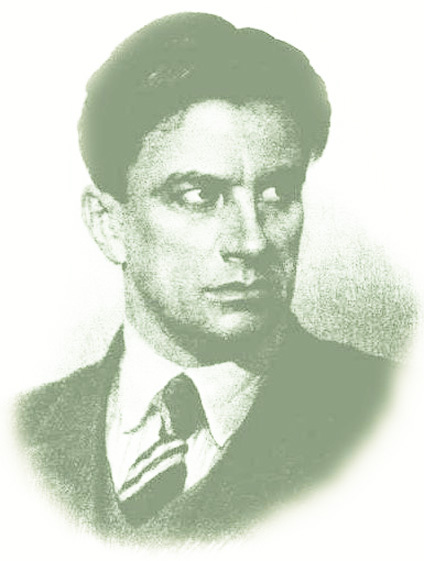 Burliuk, a fellow student at the Moscow Institute for the Study of Painting, Sculpture and Architecture, had recognized the need for organization and unification in achieving a complete cultural revolution, and established a group of literary Futurists under the name of "Hylaea." 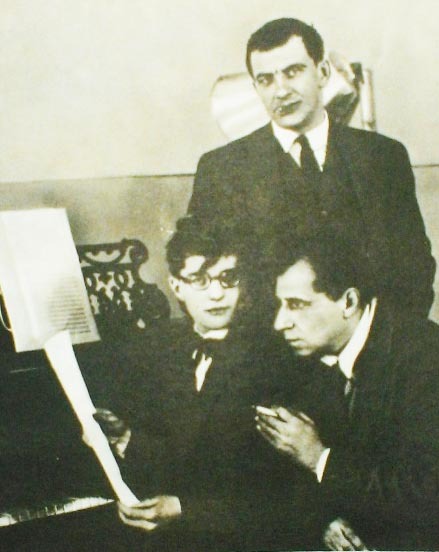 Composed of individuals committed to creating new forms in art and literature, Hylaea issued illustrated publications and manifestos which inspired the gravitation of other Russian artists towards Futurism, and set the tone for the awakening of the Russian avant-garde. 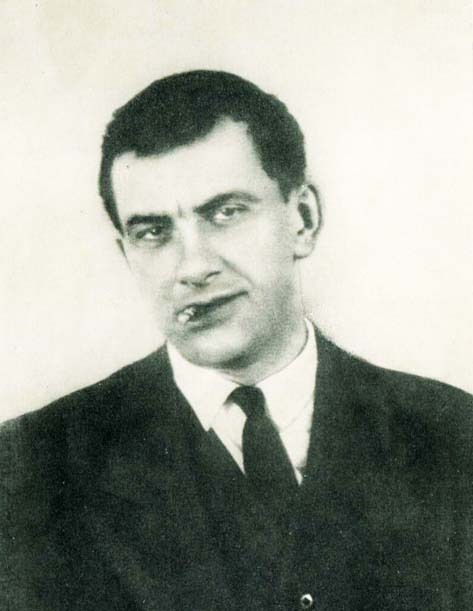 Having introduced Mayakovsky to his friends as "The famous poet Mayakovksy," (despite Mayakovsky's never having written a line of verse), Burliuk provided him with a role and a purpose which Mayakovsky would strive to fulfill forever. 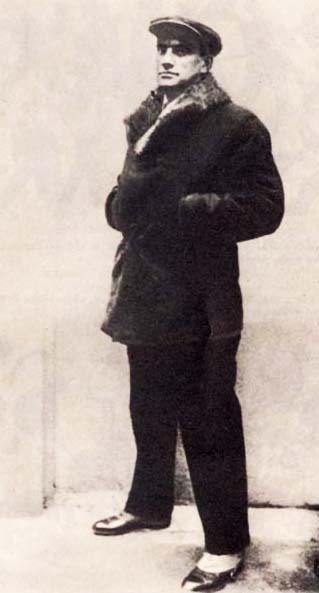 In December, 1912. 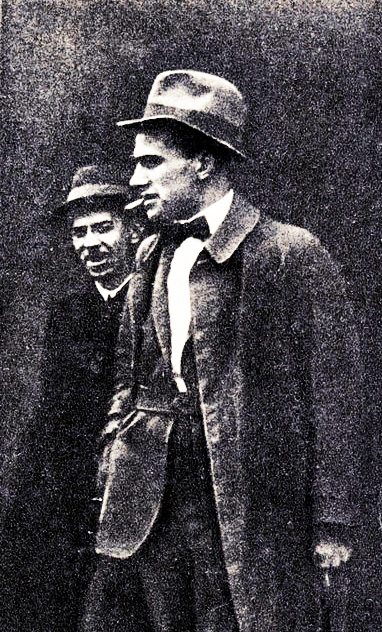 Mayakovsky debuts as the poet in the almanac "the Slap in the face to public taste " , where his poems "Night" and "Morning" were printed. In the manifest was proclaimed negative attitude to the Russian literature of the present and past: " To throw Pushkin, Dostoevsky, Tolstoy and others from the steamship of modernity". 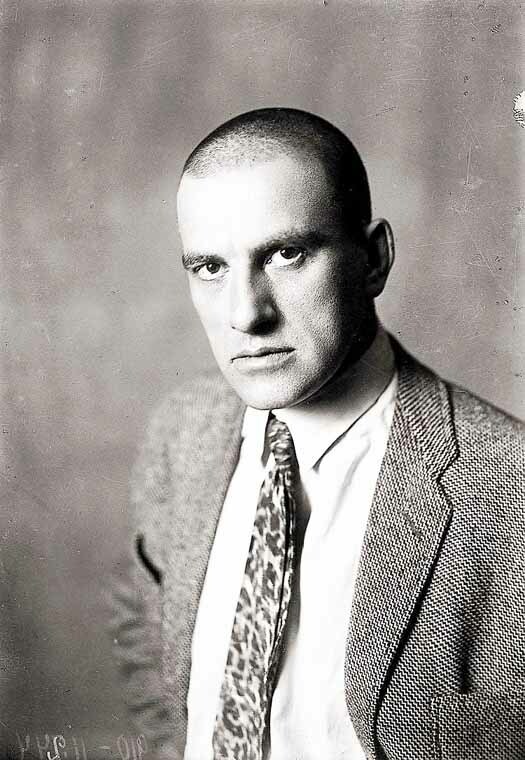 Creatively fruitful for Mayakovsky became 1913. 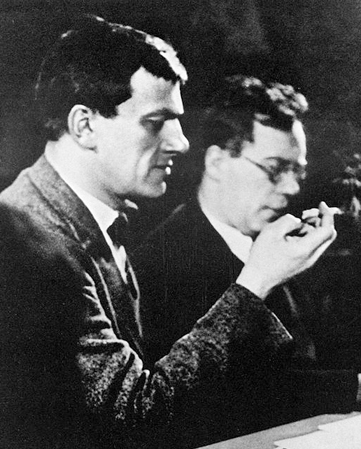 His poetic monodrama Vladimir Mayakovsky was performed in St. Petersburg in 1913. 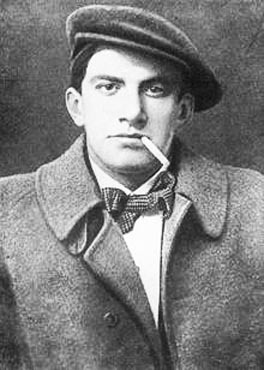 Between 1914 and 1916 Mayakovsky completed two major poems, "Oblako v shtanakh" (1915; "A Cloud in Trousers") and "Fleytapozvonochnik" (written 1915, published 1916; "The Backbone Flute"). 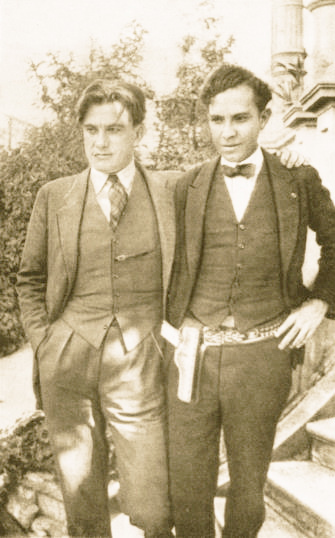 Both record a tragedy of unrequited love and express the author's discontent with the world in which he lived. 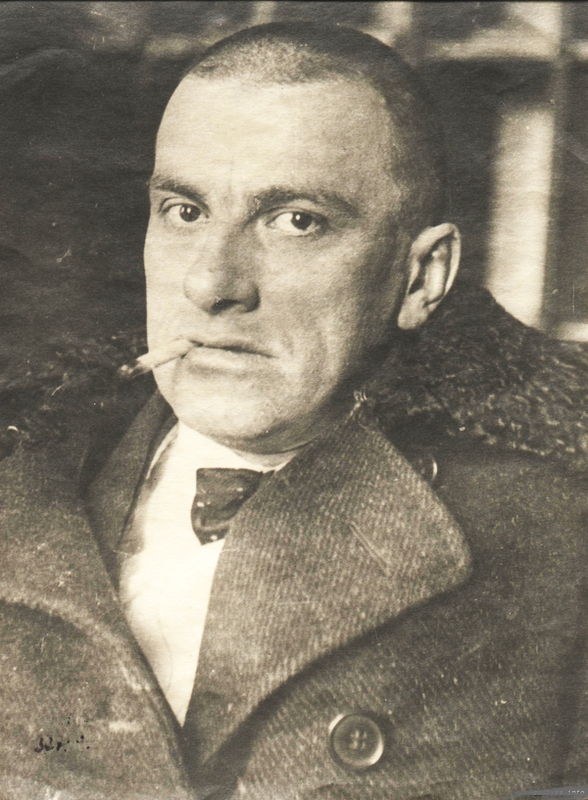 Mayakovsky sought to "depoetize" poetry, adopting the crude language of the man in the street and using the most daring technical innovations. 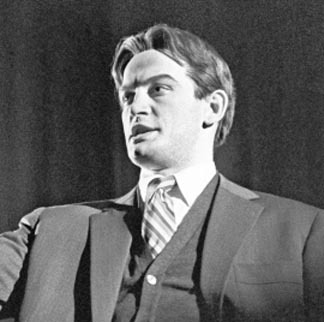 Above all, his poetry is declamatory, for mass audiences. 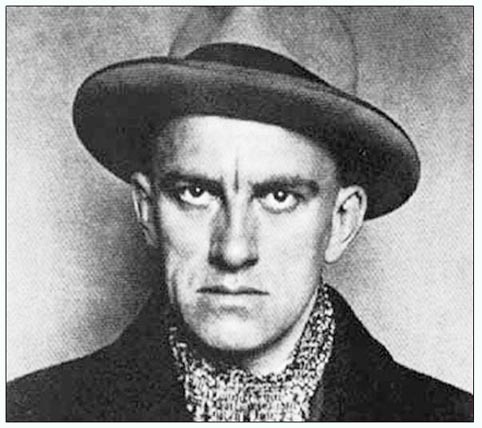 When the Russian Revolution broke out, Mayakovsky was wholeheartedly for the Bolsheviks. 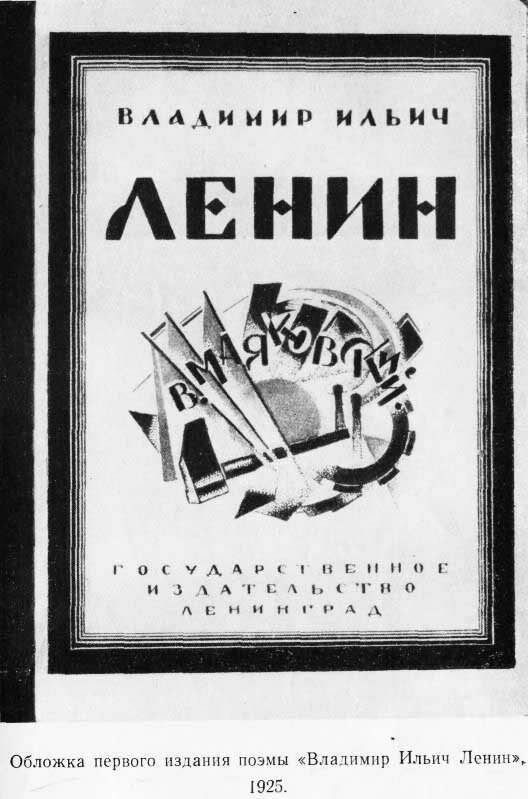 Such poems as "Oda revolutsi" (1918; "Ode to Revolution") and "Levy marsh" (1919; "Left March") became very popular. 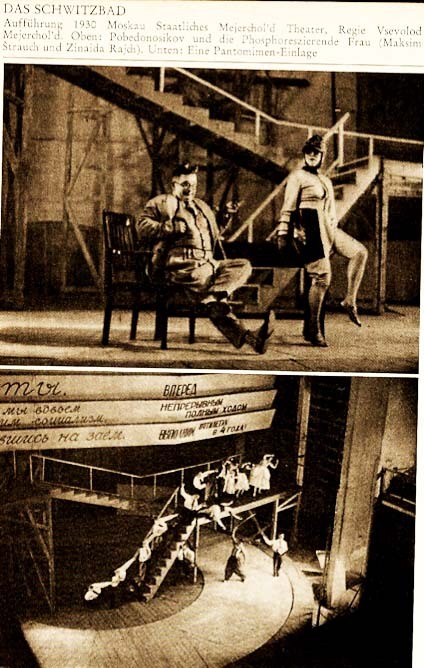 So too did his Misteriya-buff (first performed 1921; "Mystery-Bouffe"), a drama representing a universal flood and the subsequent joyful triumph of the "Unclean" (the proletarians) over the "Clean" (the bourgeoisie). 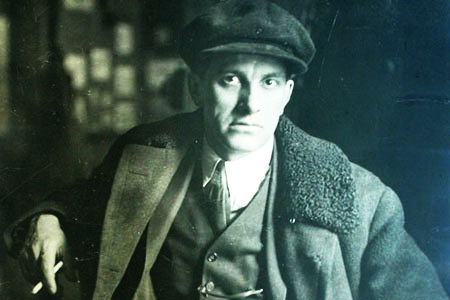 As a vigorous spokesman for the Communist Party, Mayakovsky expressed himself in many ways. 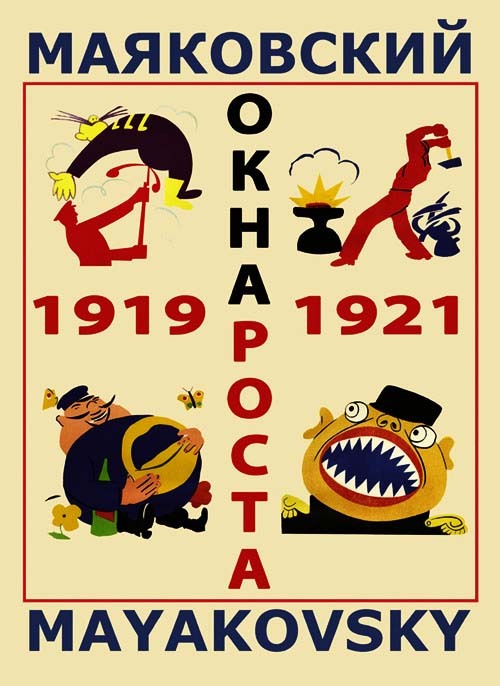 From 1919 to 1921 he worked in the Russian Telegraph Agency as a painter of posters and cartoons, which he provided with apt rhymes and slogans. 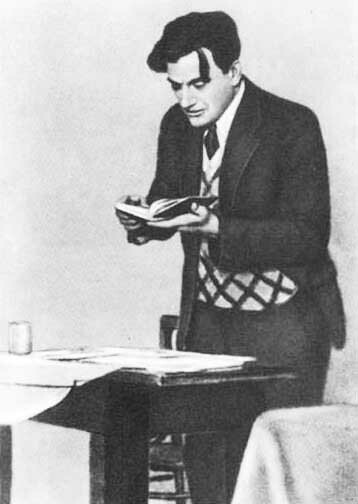 He poured out topical poems of propaganda and wrote didactic booklets for children, while lecturing and reciting all over Russia. 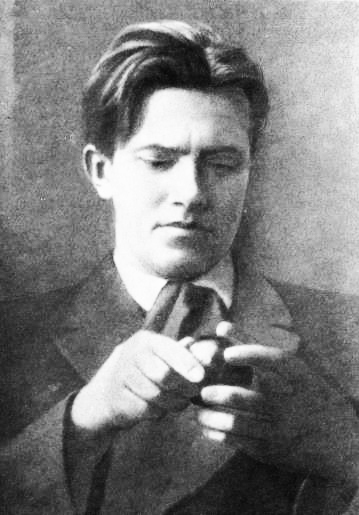 In 1924 he composed a 3,000-line elegy on the death of Lenin. 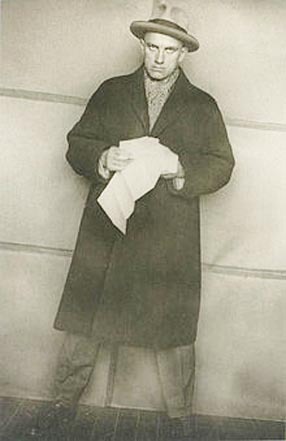 After 1925 he traveled in Europe, the United States, Mexico, and Cuba, recording his impressions in poems and in a booklet of caustic sketches, Moye otkrytiye Ameriki (1926; "My Discovery of America"). He also found time to write scripts for motion pictures, in some of which he acted. 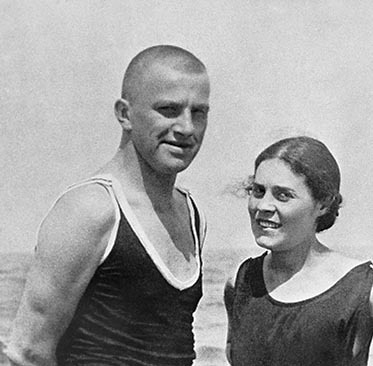 In his last three years he completed two satirical plays: Klop (performed 1929; The Bedbug), lampooning the kind of philistine that emerged with the New Economic Policy in the Soviet Union, and Banya (performed in Leningrad on Jan. 30, 1930; "The Bathhouse"), a persiflage of bureaucratic stupidity and opportunism under Stalin. 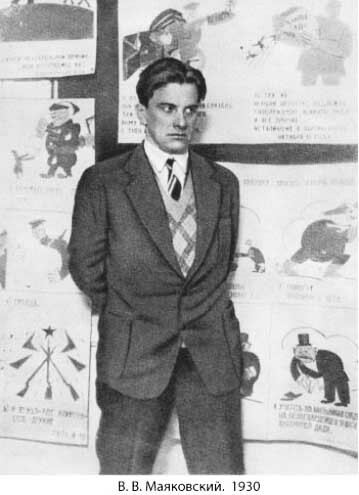 Mayakovsky's poetry was saturated with social meaning, but no amount of social propaganda could stifle his personal need for love, which burst out again and again because of repeated romantic frustrations. 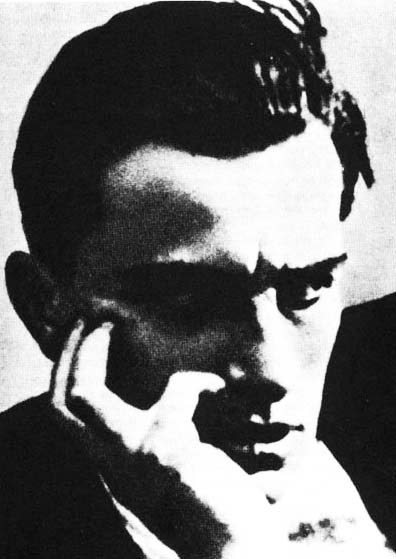 After his early lyrics this need came out particularly strongly in two poems, "Lyublyu" (1922; "I Love") and "Pro eto" (1923; "About This"). 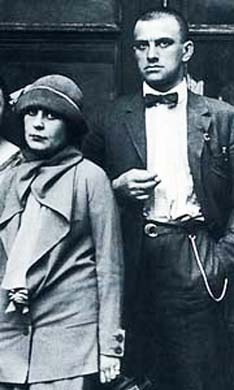 To make things worse, during a stay in Paris in 1928, he fell in love with a refugee, Tatiana Yakovleva, whom he wanted to marry but who refused him (see "The end of Tatiana"). 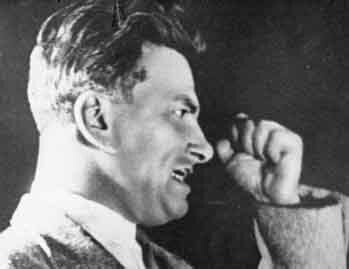 At the same time, he had misunderstandings with the dogmatic Russian Association of Proletarian Writers and with Soviet authorities. Nor was the production of his Banya a success. 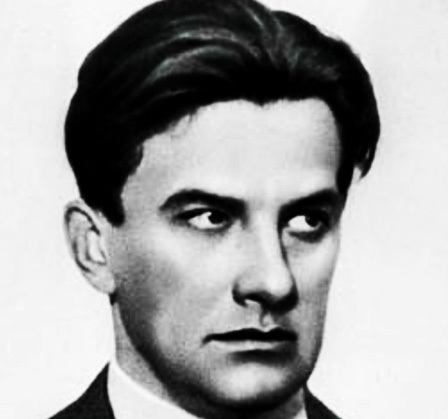 Disappointed in love, increasingly alienated from Soviet reality, and denied a visa to travel abroad, he committed suicide in Moscow. 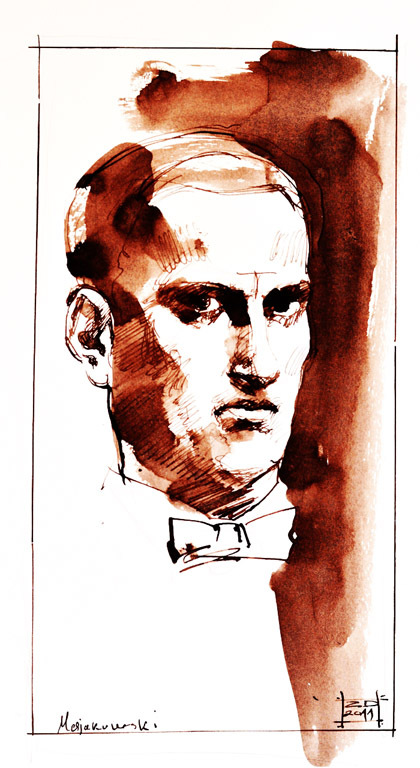 Mayakovsky was, in his lifetime, the most dynamic figure of the Soviet literary scene. 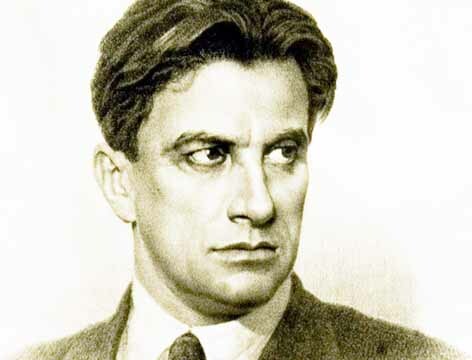 His predominantly lyrical poems and his technical innovations influenced a number of Soviet poets, and outside Russia his impress has been strong, especially in the 1930s, after Stalin declared him the "best and most talented poet of our Soviet epoch." 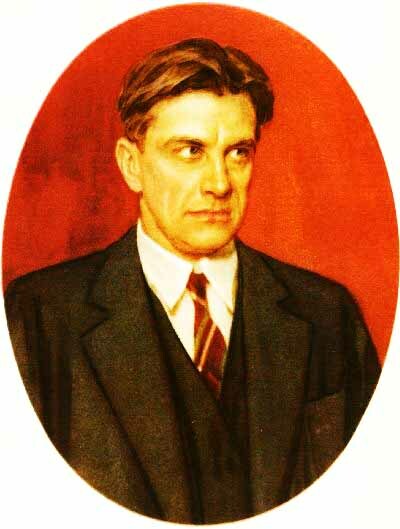 With the name and work of Vladimir Mayakovsky, the new stage of socialist realism opened in Russian and world poetry. 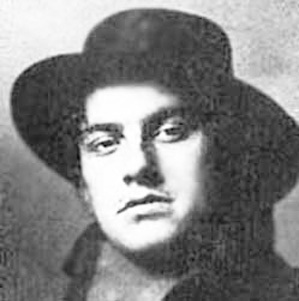 He was born on 19 July 1893 in the village of Baghdadi (today Mayakovsky) near Kutais in Georgia. His father was a simple forester, and the family was nourished on progressive ideas. 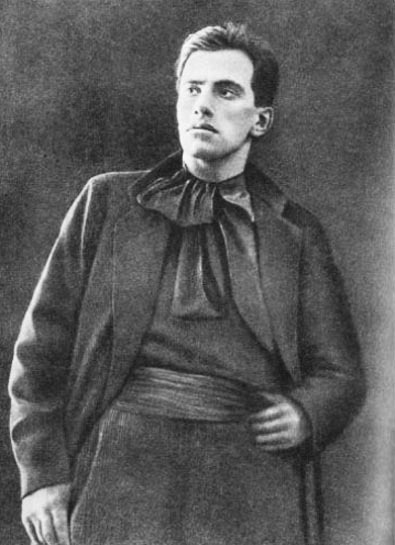 The poet was twelve years of age when the first Russian Revolution broke out in 1905. its echo was felt even in the mountains of the Caucasus. 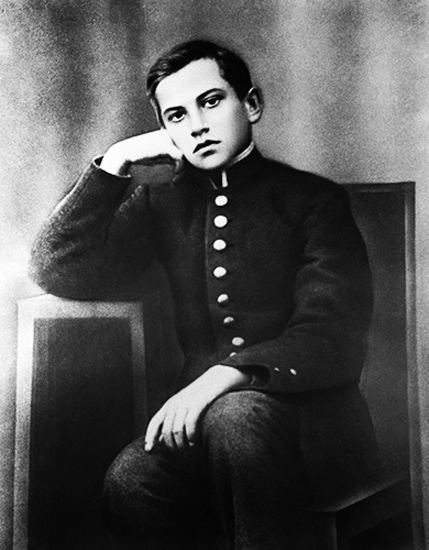 The wave of the popular movement against Tsarism and the reactionary bourgeoisie, led by the Georgian Bolsheviks, lapped the whole of Georgia, and especially the city of Kutais, where he was attending high school. Vladimir was educated by his father with democratic feelings of respect and affection for working people. 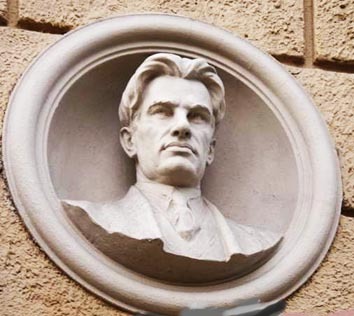 The year 1905 became for him not only a great source of impressions, but also a true school, where he formed his first political ideas, where he received his first baptism as a revolutionary. He entered the Marxist circles at the high school, read revolutionary literature which his elder sister brought from Moscow, learned new rebel songs which left a great impression on him. ‘It seemed as if verses and revolution were intertwined in my mind,’ wrote the poet in his ‘Autobiography’. 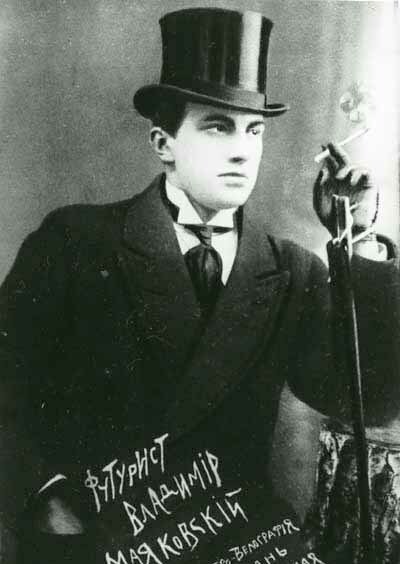 The year 1906 found Mayakovsky in the city of revolution; his father died and he, with his mother and his two sisters, settled in Moscow. Here the smoke of gunpowder had not yet dispersed, and the workers’ blood had not yet dried in the working class quarter on the main barricade of the revolution, which resisted heroically. 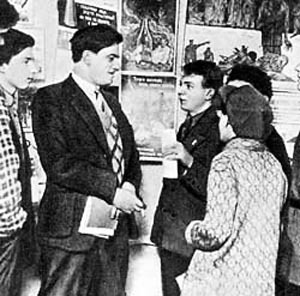 The older students who shared a house with him persuaded him to read the works of Marx, Engels and Lenin. They talked about the Bolshevik Party and about the role of Lenin as leader of the Russian proletariat. 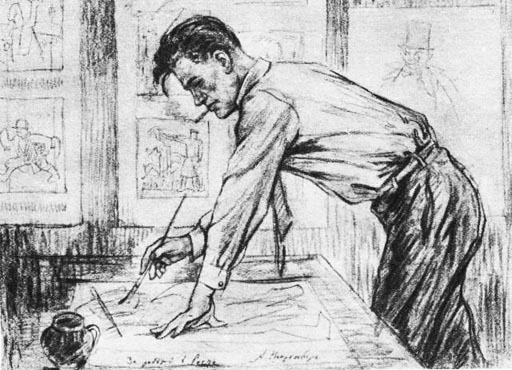 In his desk, along with his school books, he kept ‘Anti-Duhring’. 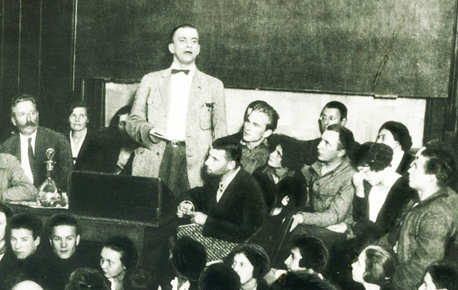 The revolutionary inspiration of the future was being sown in the consciousness of the poet. 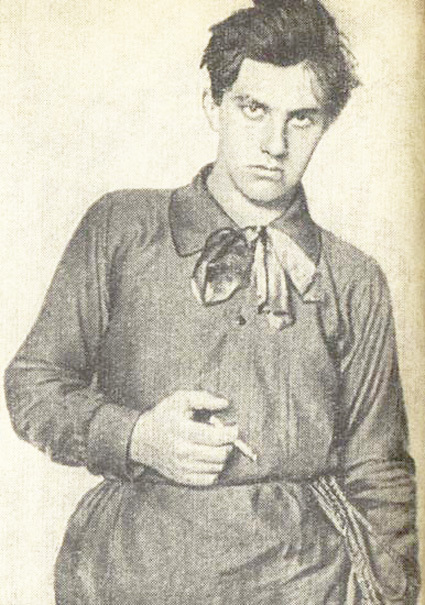 1908, the year of the most rabid reaction after the crushing of the 1905 Revolution, became the happiest year for the fifteen-year-old Mayakovsky: he joined the Russian Social-Democratic Party led by Lenin. He had the pseudonym ‘Comrade Constantine’. 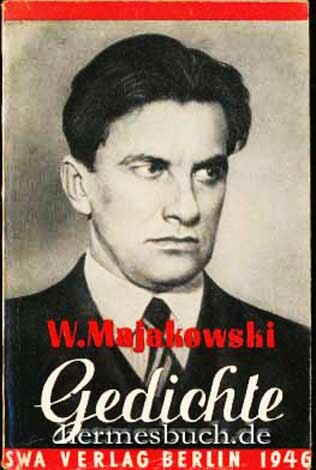 He worked as a propagandist, distributed illegal publications, helped a group of revolutionaries to escape from prison. 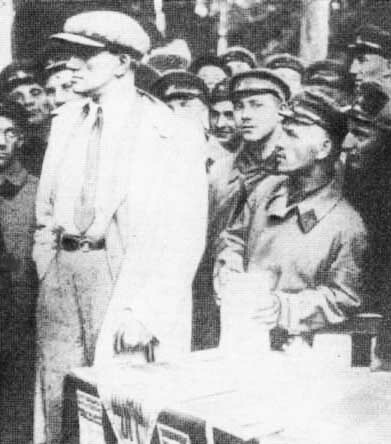 He came to know at first hand the workers, their thoughts and feelings. 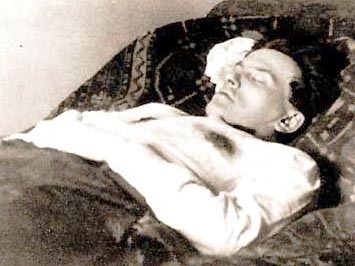 The passion of revolutionary activity, with its daily joys and dangers, took hold of him. 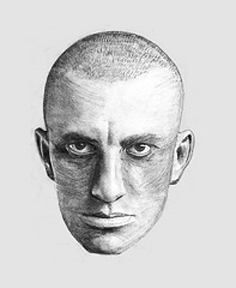 During the years 1908-1910 Mayakovsky was imprisoned three times. But prison could not break his belief in the victory of the revolution. 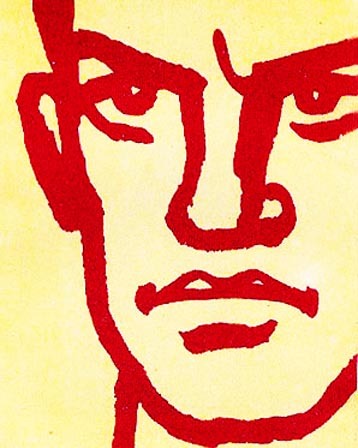 He came out of prison with a new wish: "I want to create socialist art" (‘Autobiography’). 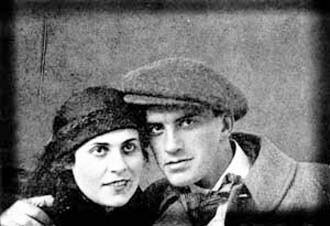 Mayakovsky wavered between poetry and painting. From childhood he had been attracted by verses, which he learnt by heart and recited beautifully. 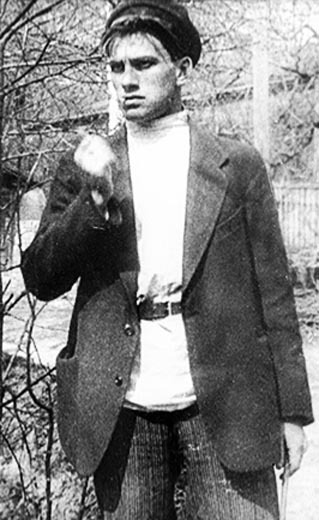 In prison, in 1909, he tested his pen for the first time, but the prison governor confiscated the notebook of verses. 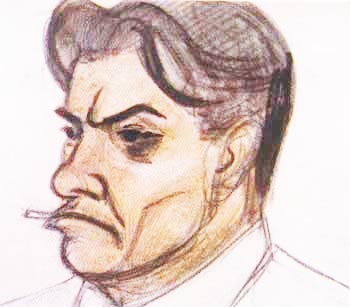 Similarly, in his high school in the Caucasus, he had greatly amused the Georgian comrades with his caricatures of the reactionary professor. 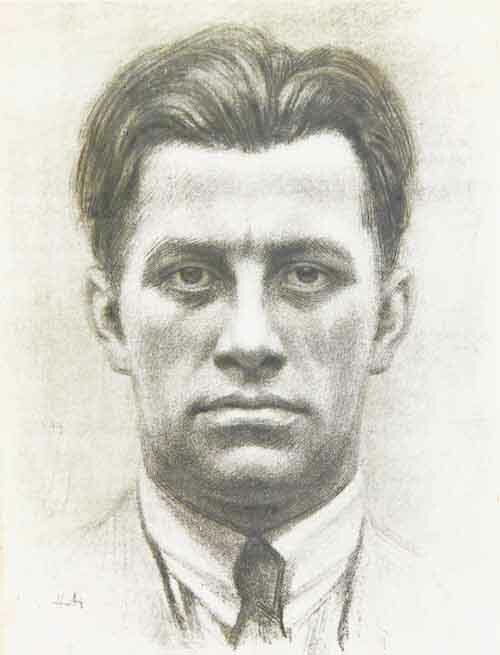 He had also drawn portraits of some of his revolutionary comrades. 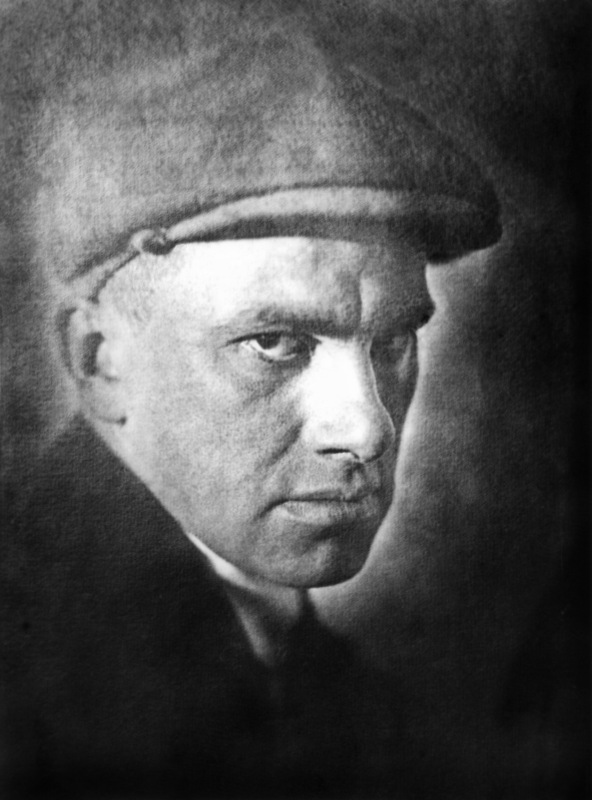 Mayakovsky entered art school in Moscow, and was a successful student. 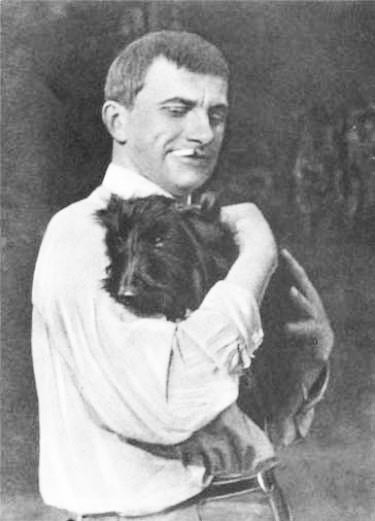 In 1912 he published the first verses. 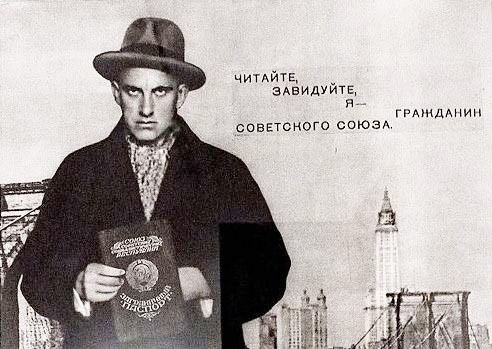 Poetry had finally conquered Mayakovsky. ‘Passers-by, take your hands from your pockets! The principal aim of his activity became preparation for the approaching revolution. 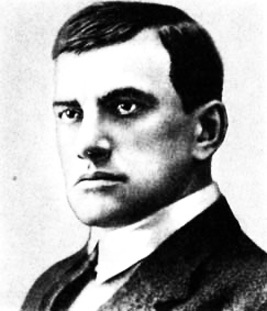 Mayakovsky greeted the First World War with struggle. 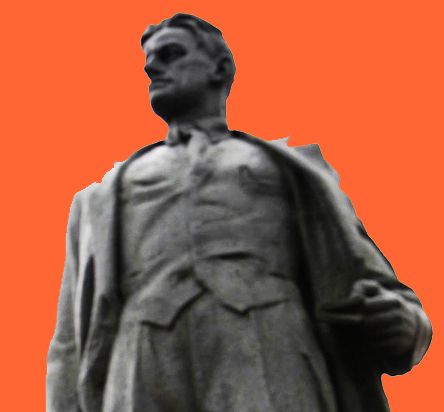 He unmasked its imperialist, anti-popular character in the poem ‘War and the World’ of 1916. 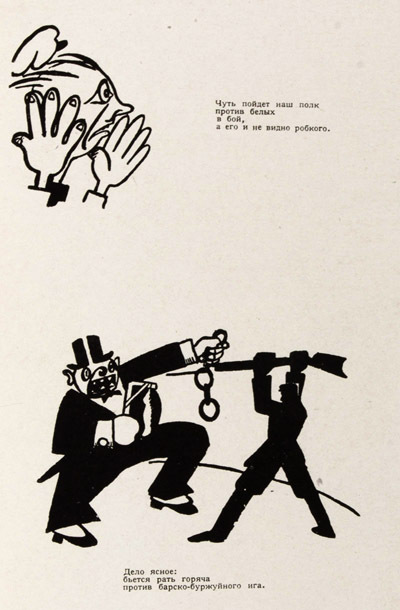 In the poem ‘Answer!’ he says angrily that the bourgeoisie, driven by thirst for profits and conquest, sends millions of people to the slaughter-house. Here he rises also in defence of the rights of small countries, such as Albania, etc., which the imperialists wish to dismember. Nevertheless, in his whole pre-revolutionary political activity one must note that the poet is more a stormy rebel than a conscious fighter. 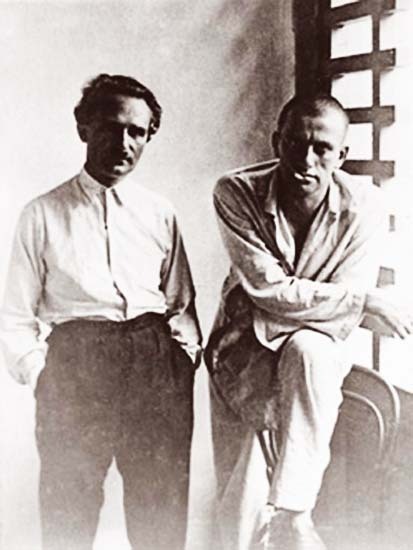 In these years Mayakovsky became familiar and friendly with the great revolutionary writer Maxim Gorky, who was pleased to publish his works in the review he directed, ‘Chronicle’. 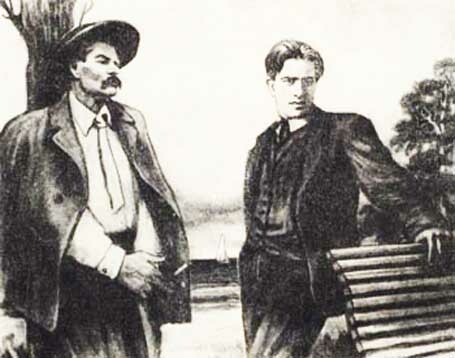 Gorky, who was now a developed proletarian writer, supported and assisted the poet at a time when the bourgeois press was attacking him fiercely. 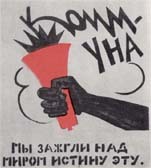 They were united by a common anger against all the oppressors, by affection and praise for free man, for the revolution – against which the whole Tsarist state and the bourgeois press and art had undertaken a foul attack to try and stem the new tide of revolution which was rising in Russia. 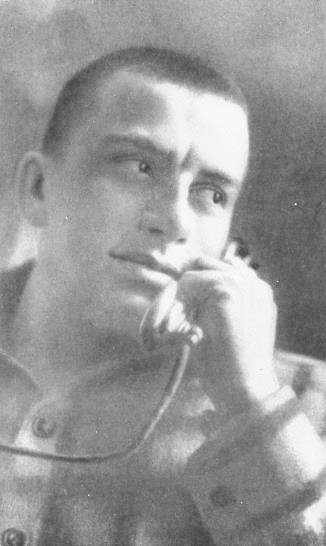 Precisely in these years there rang out the poetical voice of Mayakovsky who, alongside Gorky, entered the October Revolution, singing to it and greeting it as his own. ‘October. To accept it or not? For me this question never arose. It is my revolution. I went to Smolny. I worked’. 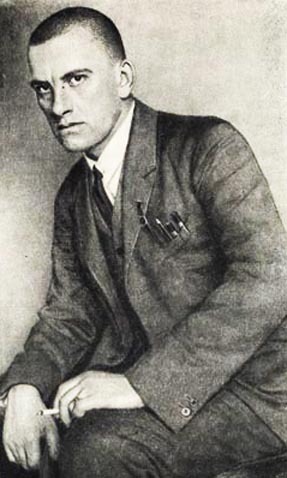 Mayakovsky undertook a wide activity in the service of the Soviet state. 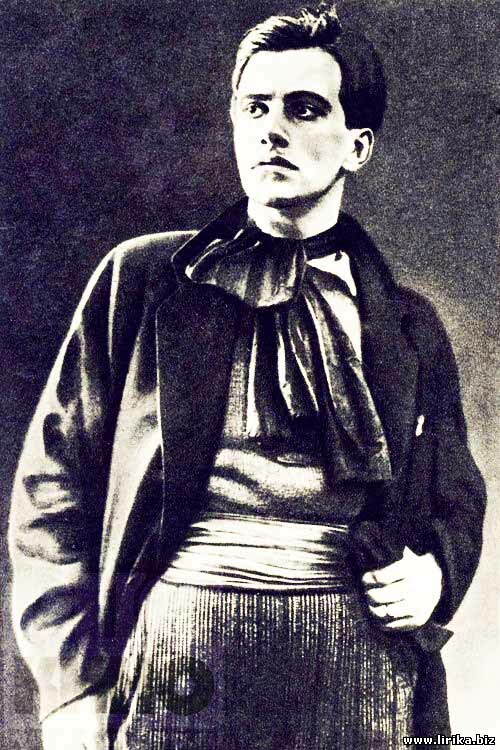 He wrote verses and film scenarios, appeared himself in films and, on the first anniversary of the Revolution in 1918, presented at the festival the theatrical piece ‘Mystery-Bouffe’, dedicated to the triumph of the socialist revolution. 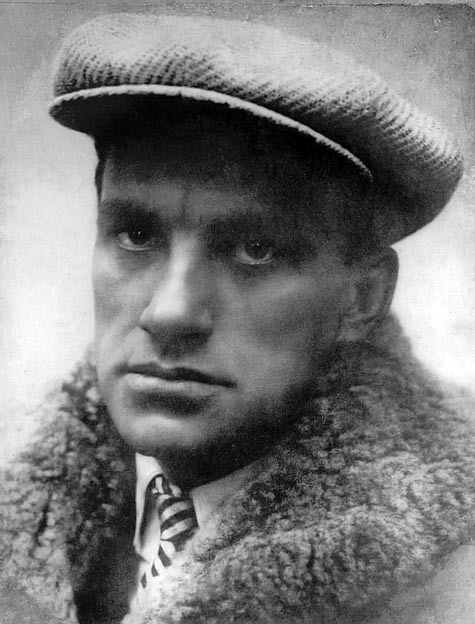 During the years 1919-1922 Mayakovsky worked night and day, up to sixteen hours a day, in the Russian telegraphic agency (Rosta). He drafted hundreds of posters and wrote for them thousands of captions in topical verse. 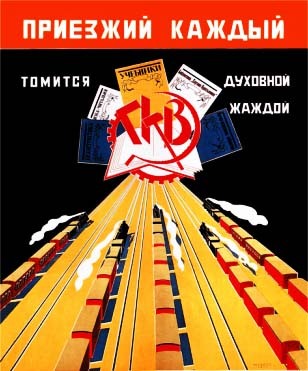 These posters were called ‘Rosta’s windows’. 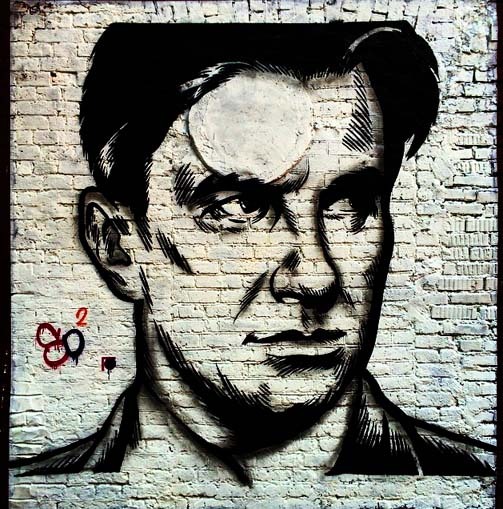 They were pasted up each day in the streets of Moscow. 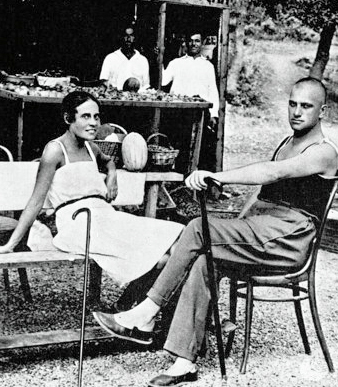 This intensive work, very useful also for the poet himself, helped him to get to know the new reality more profoundly and comprehensively, and to link himself more closely with the interest of the people and the socialist state. 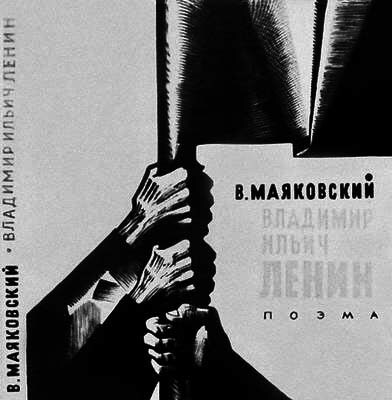 Directing himself to the man of the masses through posters, Mayakovsky learned to speak in poetry too with a simpler language, closer to the living speech of the people, and to use a clearer, but still original, figurative style. 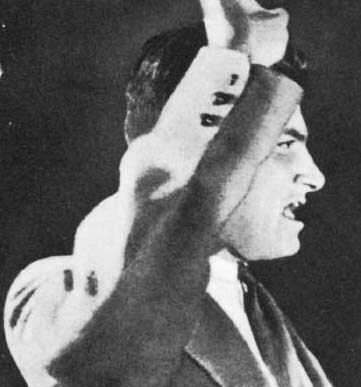 He studied passionately the speeches and reports of Lenin and drew from them themes for his poetry. A new step towards socialist realism in the poet’s creativity was taken in the poem of these years ‘150,000,000’, which, through an imaginary duel between two legendary giants – Ivan (representing revolutionary Russia) and Wilson (representing Capitalism) – portrays the struggle of the revolution against, and its victory over, the interventionists. 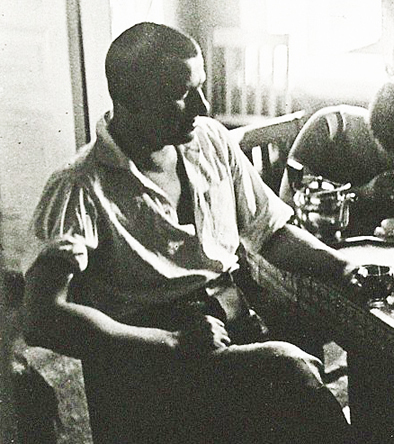 When the land of the Soviets began work on the reconstruction of the ruined economy and the building of the new life, Mayakovsky’s poetry was enriched with new themes and ideas. 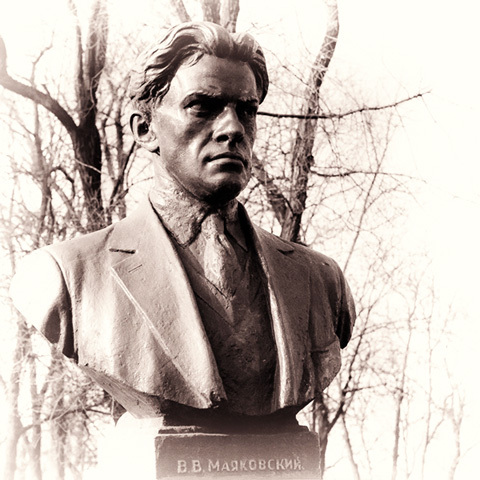 His important theme in these years was that of labour and socialist patriotism; he extols the construction of the industrial base of socialism (‘Khrenov’s Story of Kuznetsktroy and the People of Kuznetsk’), celebrates the workers’ vanguard movement (‘March of the Shock Brigades’), builds in verse a ‘Temporary Monument to the Workers of Kursk, who extracted the First Minerals’, sings of the social changes in the countryside (‘Harvest March’), weaves optimistic elegies to communists who fell in the course of the duty (‘To Comrade Nette, Man and Ship’), expresses his optimism and pride in being a citizen of the first socialist country in the world, a country which strikes fear and hatred into the imperialists and everywhere enjoys the sympathy of workers (‘Verse on my Soviet Passport’), etc. the petty-bourgeois thrust their snouts’. 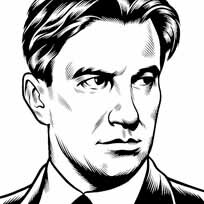 With his proletarian spirit the poet could not reconcile himself with anything bourgeois or petty-bourgeois; he declared war throughout his life on the standards of their morality. 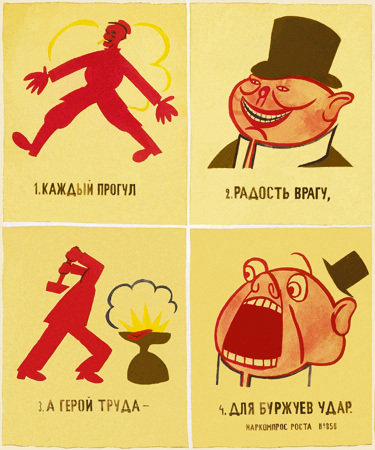 "Petty-bourgeois habits are more terrible than Wrangel’, wrote the poet in the poem ‘Gregs’. 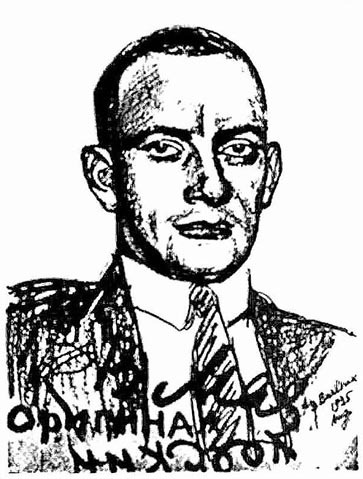 He lashed harshly the bureaucrats who replaced creative work with interminable, useless meetings (‘Meeting Addicts’), mocked the servile official (‘Rudimentary Methods for Rudimentary Toadies’), castigated harshly the administrators who wished to suppress the criticism of the masses under the pretext that this criticism harmed the authority of cadres (‘The Pillar’). Let the heaven tremble with fear’. 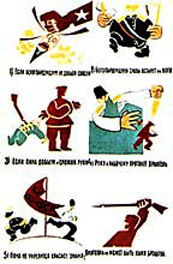 In the ‘Komsomol Song’ he presents to youth the shining model of Lenin. Particularly attractive are his works for children (‘What is Good and What is Bad’ and for pioneers (‘What I shall be when I grow up’). 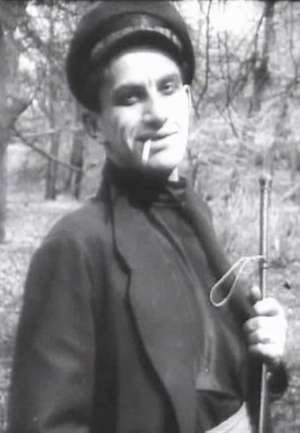 Some of Mayakovsky’s best poems are dedicated to the problems of literature and art, such as: ‘The Extraordinary Adventure which happened to Vladimir Mayakovsky in the Country, during Summer’, ‘Order No. 2 to the Army of Arts’, ‘Jubilee’, ‘Conversations with an Inspector of Taxes about Poetry’, ‘The Bird of God’, etc. Raises the class to arms. 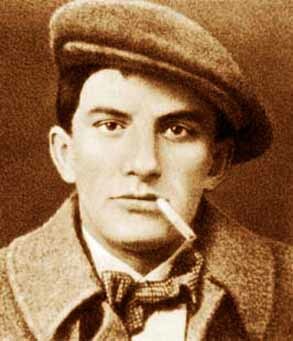 The poet had a very advanced outlook on love and physical feeling, which elevate and beautify man, give him strength and impel him to lofty social aims (‘I Love’, ‘About This’, ‘Letter to Comrade Kostrov from Paris about the Nature of Love’, etc). 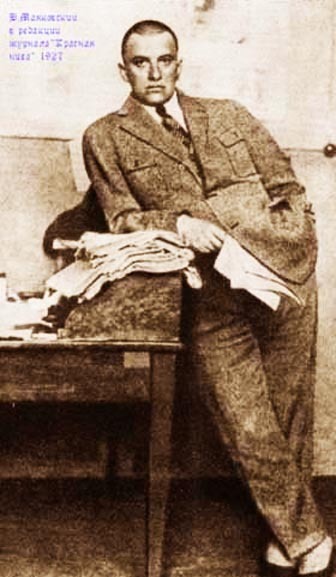 In these years he wrote also the great poems ‘Vladimir Ilyich Lenin’ (1924) and ‘All Right!’ (1928), in which he ridiculed people plunged in the morass of petty-bourgeois individualism, and ‘The Bath-House’ (1929), in which the vital revolutionary spirit of the working class is counter-posed to the seedy bureaucratic style. 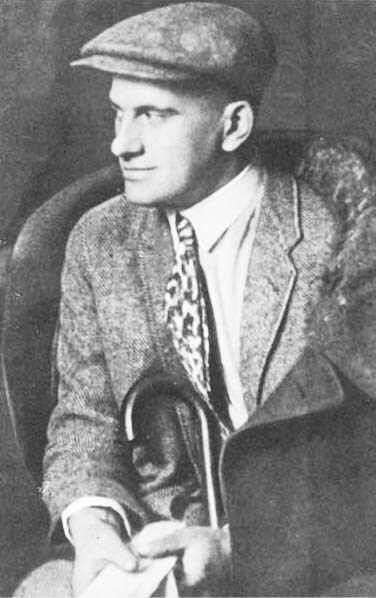 Mayakovsky was also widely involved in the activity of social organizations; he managed literary reviews, travelled throughout the Soviet Union, met with workers, soldiers, and students. 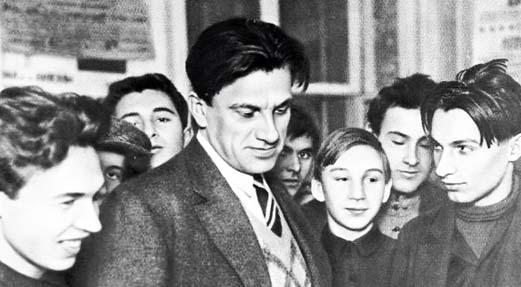 In halls packed with people he read his poems, explained them and the problems of Soviet literature, answered questions and comments, organized lectures and literary discussions, spoke on the radio, wrote slogans for festivals and advertisements for new Soviet products, travelled frequently throughout the country and beyond. ‘I feel it necessary to travel; direct meetings with people have almost replaced for me the reading of books’. In the last three years of his life, for example, the poet visited more than fifty towns in the country and appeared more than 200 times before the public to read his verses. 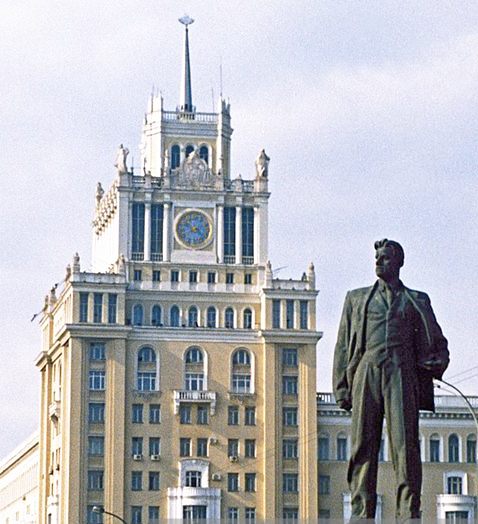 His popularity throughout the Soviet Union was extraordinary. 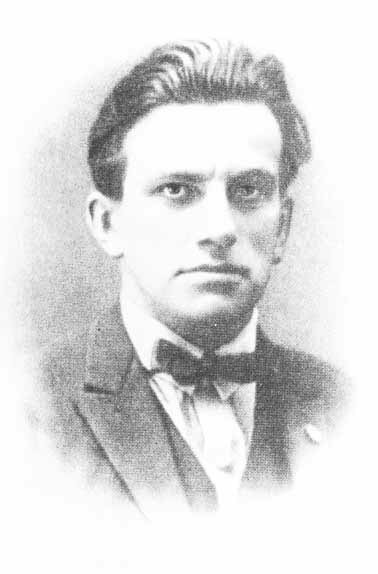 He became poet-agitator, poet-propagandist, who did not confine himself to work on his books; he was active in every sector of the living world, thus rising to the highest level of the writer of the new type, of the active participant in socialist reconstruction; he linked himself closely with social life, with the masses, with the party. 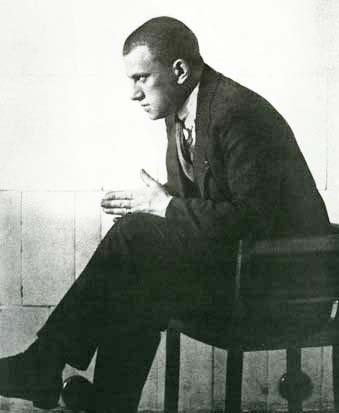 The assessment which the people and the Party made of his creativity, the critical comments of Lenin himself, and especially the high evaluation which Lenin made of his poem ‘Meeting Addicts’, became a real inspiration to Mayakovsky, a true compass for his creativity. The poet’s voice also rang out outside the boundaries of his homeland. 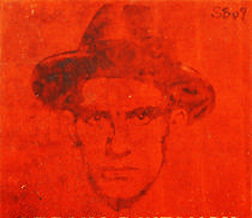 He journeyed several times to capitalist countries (to Czechoslovakia, Poland, Germany, France, Mexico, Cuba, the United States) and, surmounting the obstacles of the police organs, met with ordinary people and progressive intellectuals, who received him with enthusiasm as a man who came from ‘the spring of socialism’, as the ‘hero of Soviet poetry’. The result of these travels were many lyrical verse about Western life, such as ‘Spain’, ‘Black and White’, Broadway’, ‘Mexico’, ‘Havana’, ‘Paris’, etc. 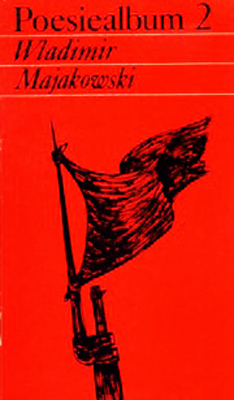 ; the notebook ‘My Discovery of America’; the cycle of verses ‘Mayakovsky’s Gallery’, where in a satirical manner he painted the political portraits of bourgeois reactionaries of the time, such as Poincare and Mussolini. 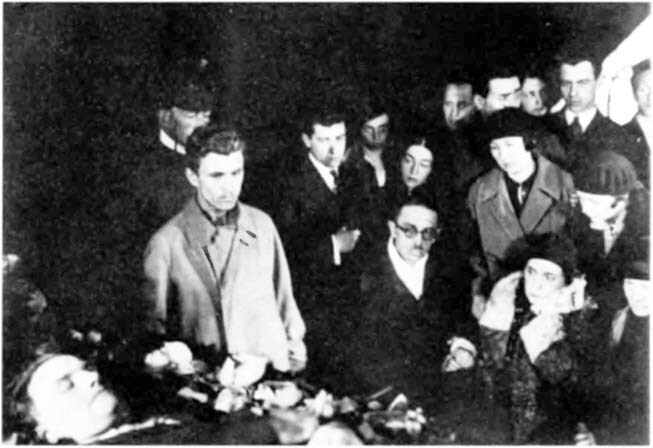 It was not accidental that the fascists burned, along with the books of Lenin, Stalin and Gorky, also the volumes of Mayakovsky. 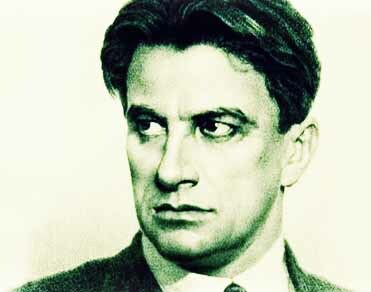 Enemies, everywhere and always, feared the poet of the proletarian revolution. 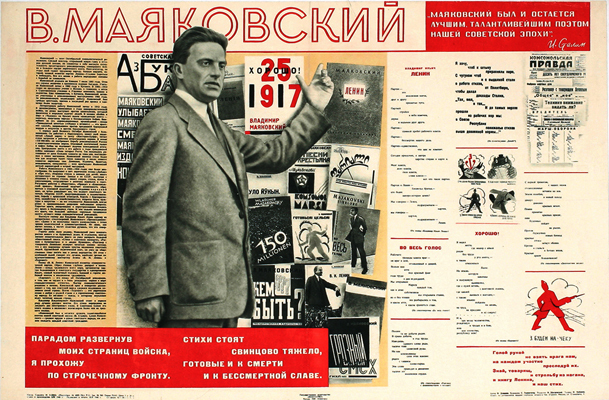 At the beginning of the year 1930, Mayakovsky, making a balance sheet of his activity, opened the exhibition of books, photographs and posters entitled ‘Twenty Years of Mayakovsky’s Work’. 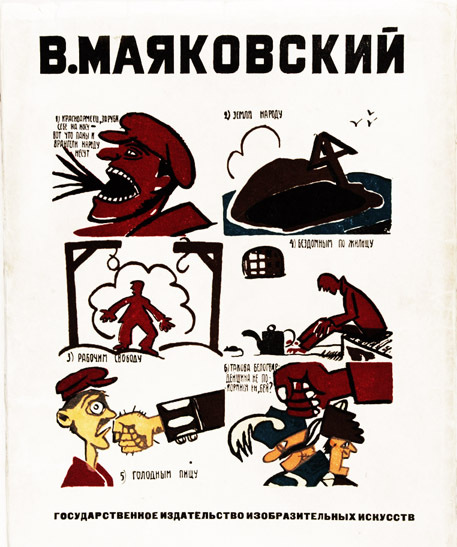 Mayakovsky had intended to write this work when Lenin was alive. The deep pain caused by the death of the beloved leader became a powerful stimulus for his inspiration. 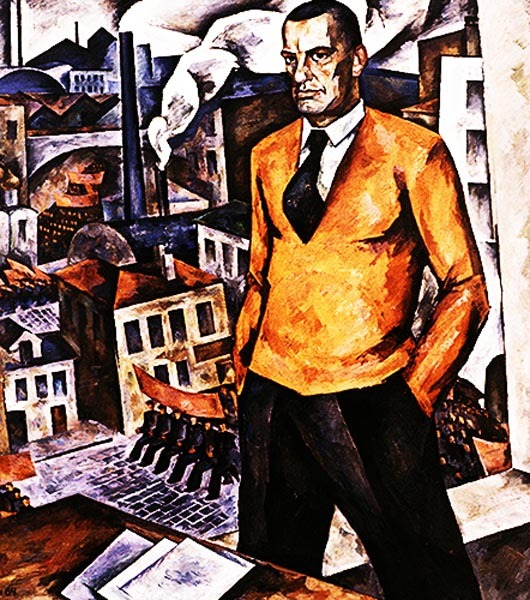 A spontaneous and meaningful question arose in the poet’s mind: ‘Who is this man, from where does he come and what has he done to cause this profound pain among people throughout the world?’ Mayakovsky, replying poetically to these questions, recreated in the three cantos of the poem the figure of Lenin, linked organically with the Russian and World proletariat, with the Bolshevik Party, with the masses of the people, with history. And this historic mission will be carried out by the ‘children of work’, the proletarians, to which capitalism gave birth. The poet creates for us with realism the collective figure of the working class, which gradually straightens its back, is tempered in strikes and clashes. Its ideological genius, Marx, reveals the laws of social development and arms his class with an invincible theoretical weapon. From the very bosom of the working class emerges the revolutionary vanguard, ‘the twin of Mother History’: the Bolshevik Party and its leader of genius, Lenin. the guiding hand of Lenin’. 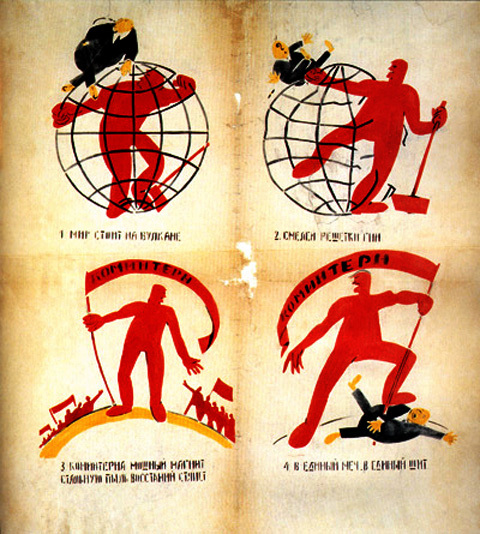 The figure of Lenin in the poem is thus raised to the symbol of the ‘helmsman’, the genius of human history, ‘the father and son’ of the proletarian revolution. he saw what time has covered’. He is distinguished by iron will and Bolshevik principle. He tempers the Party of the working class, leads the revolution through the blockades and bullets of the imperialists, draws the first workers’ state along the road of socialism. became a great communist organizer’. ‘Proletarians, form ranks for the last battle! The value of the poem does not centre only on the high artistic reflection of the life of Lenin and of the history of the proletariat. 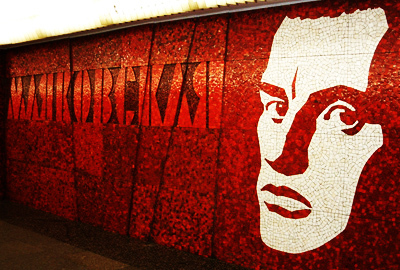 It is expressed with great force in the profound feelings of love and respect for the leader, of pain and optimism, of proletarian pride and hatred of bourgeois oppression and exploitation, of unshakable belief in the historic victory of the proletariat, which the poet has embodied in the hero of the work. This hero is the participant in and soldier of, the revolution. The entire content of the poem is presented through his eye and heart. This fills the poem with life and concretizes its inner content, blending in an organic way epic and lyrical qualities, defining its form and style. 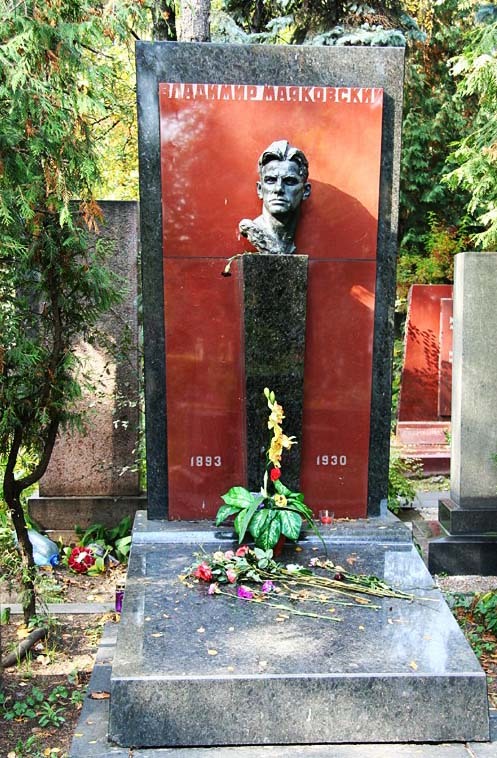 The poem, by its language, rhythm and other means, remains an innovative work of socialist realism, a worthy monument for the great Lenin, for the Bolshevik Party, for the working class and for the proletarian revolution. 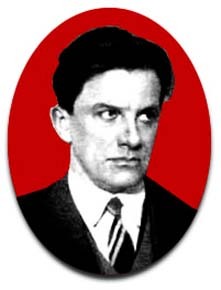 The poem, which is dedicated to the 10th anniversary of the October Revolution, is one of Mayakovsky’s most powerful works. It describes in vivid, realistic colours the road followed by the Soviet people and power during ten years under the leadership of the Party. 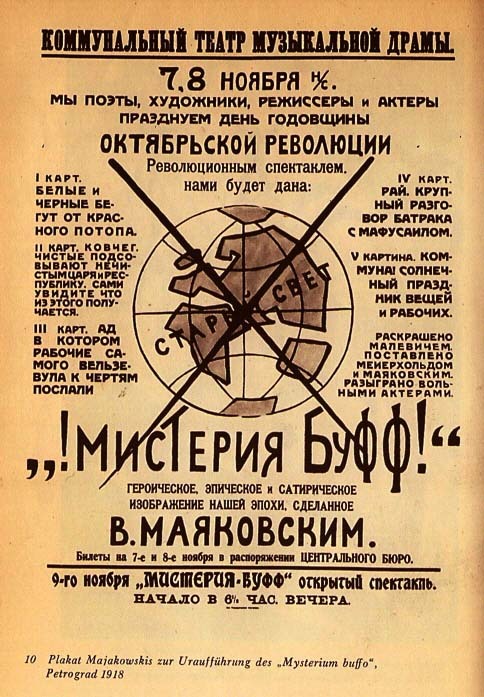 In nineteen short sections, with great artistic power, it presents many pictures of the most important politico-social events, shows how the old feudal-bourgeois power was overthrown in the fiery days of November 1917, depicts the heroism of the people during the Civil War, the latest construction work, the struggle with many difficulties and with class enemies, the brilliant successes. Alongside great difficulties and with class enemies, the brilliant successes. Alongside great events, the work also depicts scenes from intimate life and personal reminiscences of the poet himself, always closely linked with the central theme. So, in the poem epic elements are intertwined with lyrical elements. 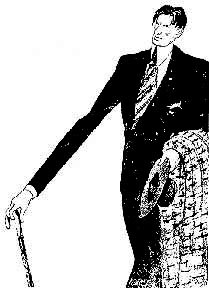 In the poem there are also drawn in a few lines satirical portraits of some of the old bourgeois world leaders, counterposed to portraits of the new people of the revolution. An important place in the poem is occupied by the elevation of the feeling of the new socialist patriotism. Singing joyfully to the heroic struggle and work of the people and the party for the construction of the new society, the poet feels happy when he sees that his life and work are fused with those of the people and the Party. The poem is permeated throughout by optimism and by pride in the victories achieved by the revolution. 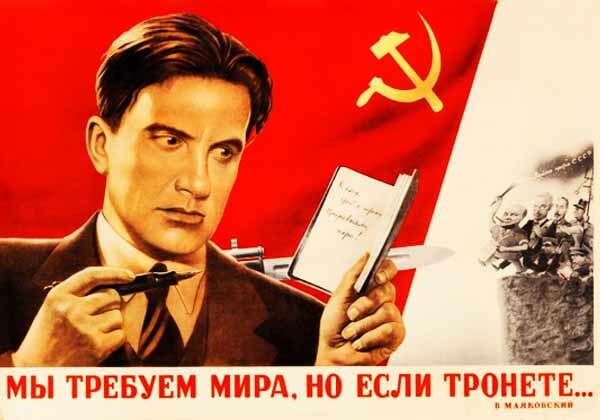 In it there is found a profound, realistic reflection of the heroism of the working class and the whole Soviet working people in the first years of socialist construction. 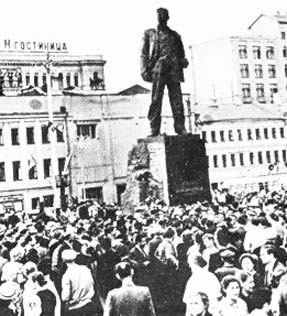 The well-known Soviet critic Lunacharsky has called this poem ‘The October Revolution cast in bronze’. 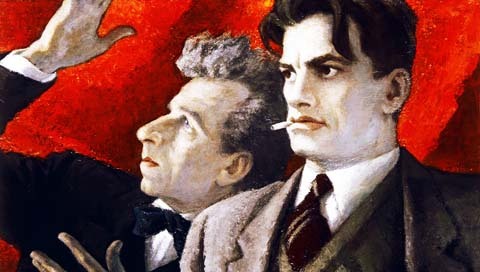 The road of Mayakovsky towards the art of socialist realism was not smooth and easy. The difficulties and obstacles which he surmounted on that road testify to his great talent and to the decisive role of Marxist-Leninist ideology in his education. 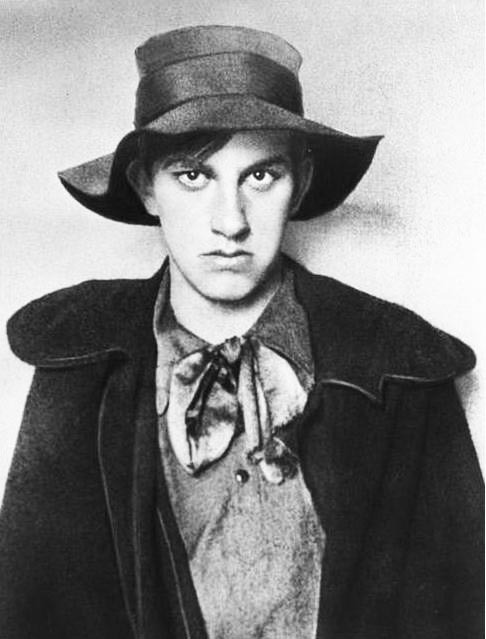 At the beginning of his road the young poet had to struggle against and overcome some formalist, futurist influences. 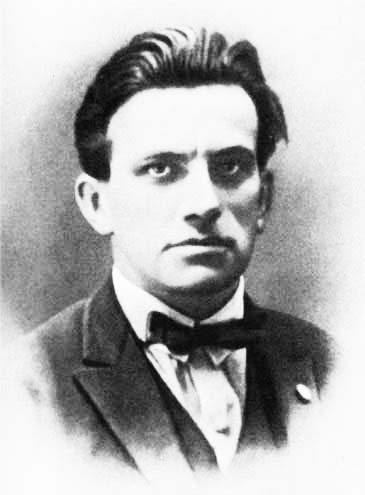 He proceeded with ever more decisiveness from isolated tragic protest, from spontaneous rebelliousness, towards the concrete and conscious call to overthrow the bourgeois world by means of proletarian revolution and to build the new socialist world. 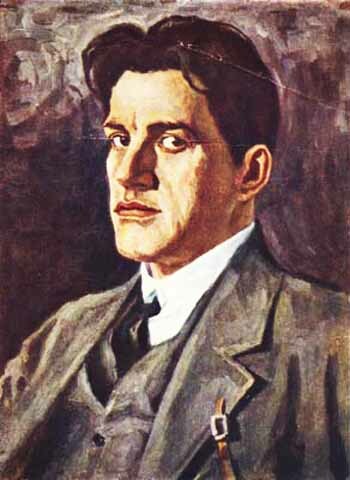 This process of the fusion of the poet with the proletarian revolution, his profound assimilation of Marxist-Leninist ideology, his evaluation of and stand on the best traditions of Russian national literature – all these gave birth to the innovational poetry of Mayakovsky. 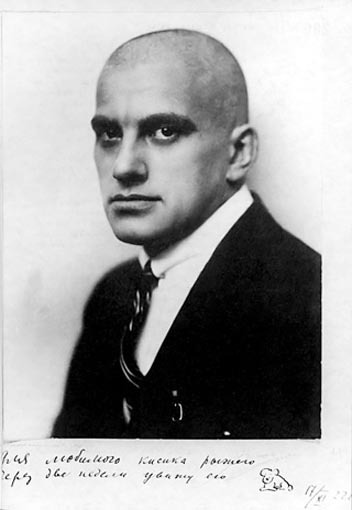 Mayakovsky is the first and greatest representative of socialist poetry. The principal thing in his innovationalism is the creation of the new lyrical hero. This hero is not simply the poet. 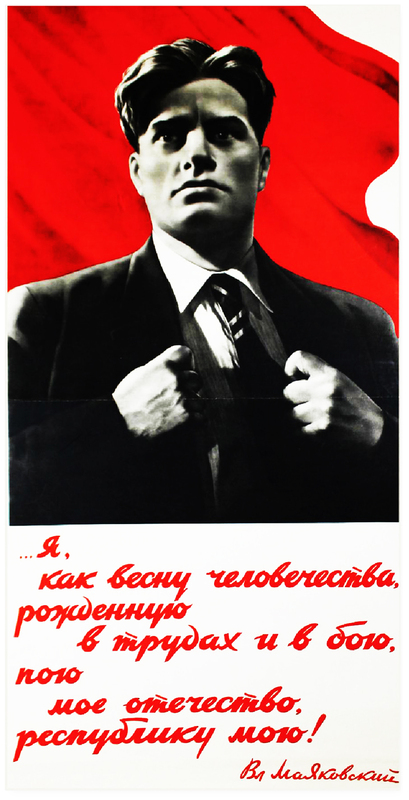 He is the new citizen of the first proletarian state; conscious revolutionary; the destroyer of the old world and the builder of the new; the creator of the new economy, culture and art, tempered in class struggle, moulded with communist ideas; the living embodiment of the class to which he belongs, of the proletarian epoch. 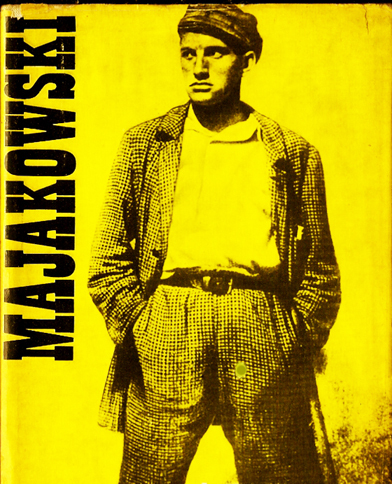 The inner content of Mayakovsky’s poetry comprises the feelings, thoughts and aims of his hero, his past, present and future. Before his acute class observation there are opened up the fundamental contradictions of the epoch: the struggle of the majestic and wonderful new with the ugly bourgeois, feudal and petty-bourgeois old, which resists to the death. This struggle is carried out with a feeling of proletarian enthusiasm and optimism, of patriotism and socialist internationalism, of love for creative work and the working man. 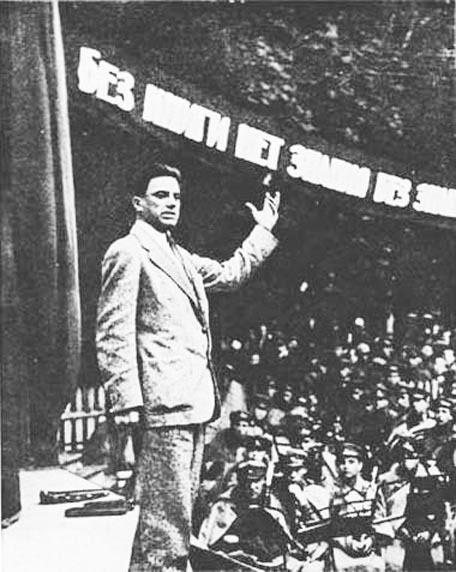 The poet issues a call to battle, a call for sacrifices and victories in the name of communism. 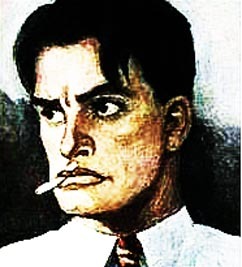 This new inner content, never before elaborated in poetry, makes the works of Mayakovsky not only a true reflection of life, but also a weapon to change it. It breaks the old poetical framework and opens up new thematic horizons for poetry and its laws. 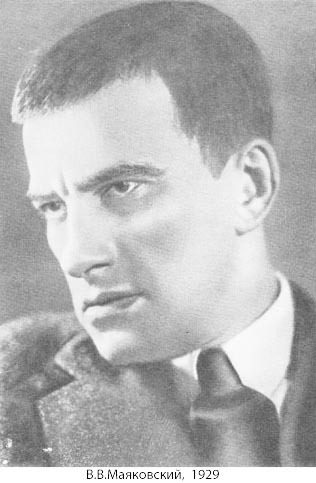 Mayakovsky greatly broadened and enriched the subject matter of poetry. 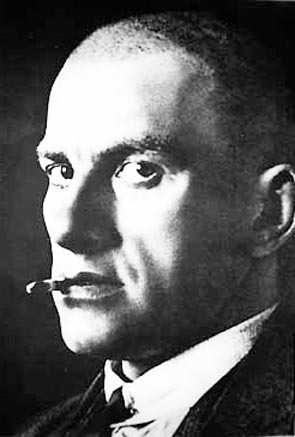 For Mayakovsky everything which has to do with revolution and serves it is beautiful and worthy to be sung in verse. He calls poetry ‘the road to communism’. 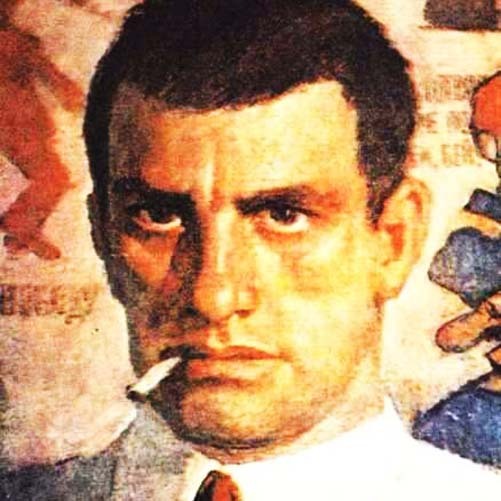 This new revolutionary poetical concept impels Mayakovsky, while preserving the healthiest aspects of the democratic literary tradition, to reject the old poetry with its musty, obsolete rules. He rejects the ‘theory of distance’, which postulates that one should wait for events to pass, for ‘conditions to ripen’, before writing about it. 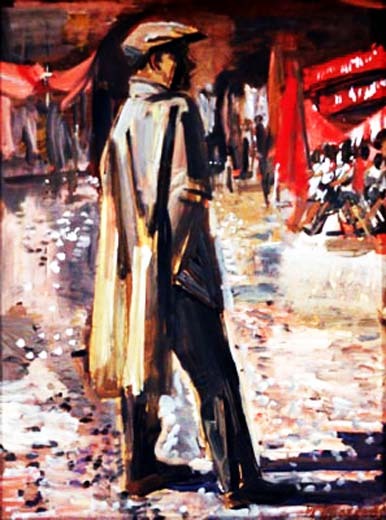 Mayakovsky creates work of a high artistic level which respond to reality on the spot. The brilliant example of this is the poem ‘V.I. 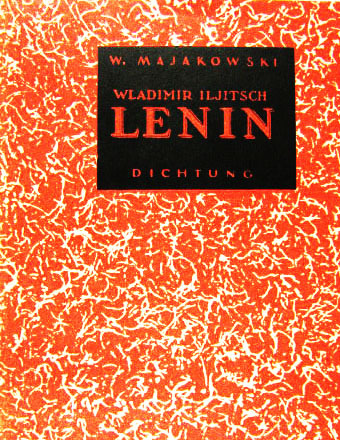 Lenin’, which was written immediately after the leader’s death. Writing about the present, about the problems of the day, he generalizes them and opens up representatives for the future. This revolution in inner content and in the creative process brought about also a revolutionization of form in the poet’s work. And this was not an easy, smooth road to take without mistakes and without defects. 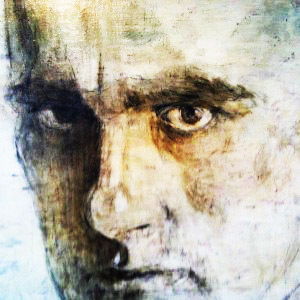 At the beginning of his creativity, Mayakovsky was attracted to a certain extent to futuristic expressions, attaching great importance to the external figurative resonance of the verse. But later, alongside his profound assimilation of new content, the poet moved towards clarity, simplicity and the artistic elevation of his works. 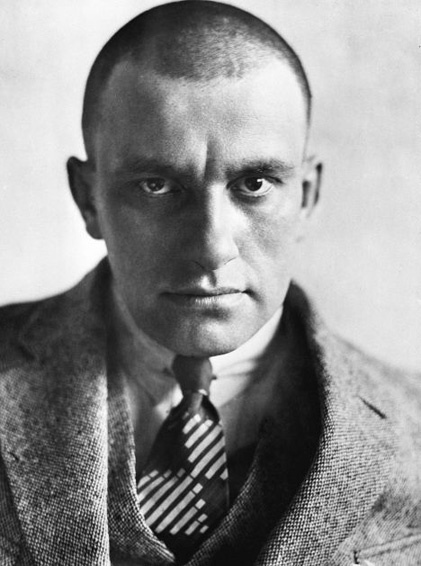 And this was natural, since Mayakovsky, from the beginning of his creativity, directed himself to ordinary people. He wished them to understand and be inspired by his verses to revolutionary actions, to be served by them as ‘bomb and flag’. 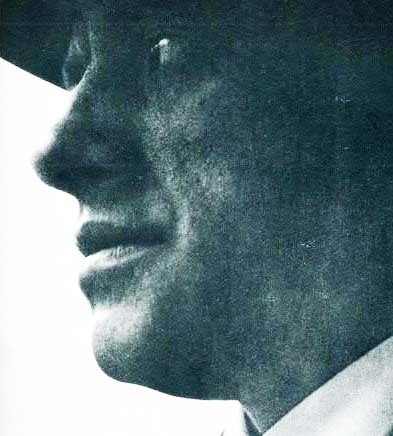 For this, he created new literary kinds of agitational poetry, of ‘marching order’ poetry. 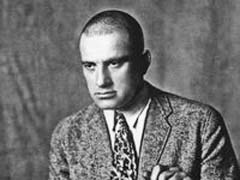 Mayakovsky changed and enriched other kinds of poetry with new elements, corresponding to the ideas he wished to express. Thus, into the genres of poetry and comedy, he inserted, among other things, political satire and the political grotesque. 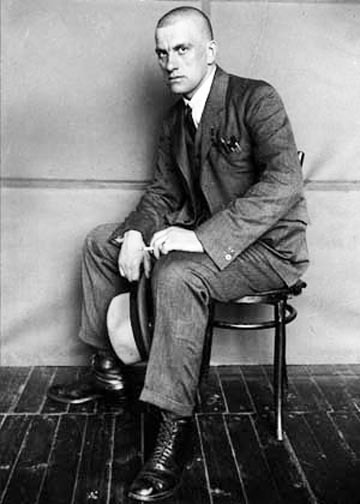 Mayakovsky performed a great work for the enrichment of poetical language. He broke the framework of the old poetical language and inserted into verse the vivid vocabulary, the beautiful expressions and proverbs, of the people. He created new words to express profound economic and social change. Through short phrases and concise thoughts, he presented the dynamism of the revolution. 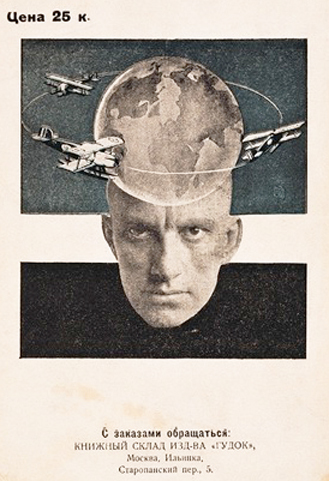 Mayakovsky brought radical changes too into figuration and other means of artistic expression. His comparisons are as daring as they are vivid. His hyperboles are suited to the gigantic destructive and restorative action of revolution. His epithets and metaphors are clear, beautiful and profound in content. 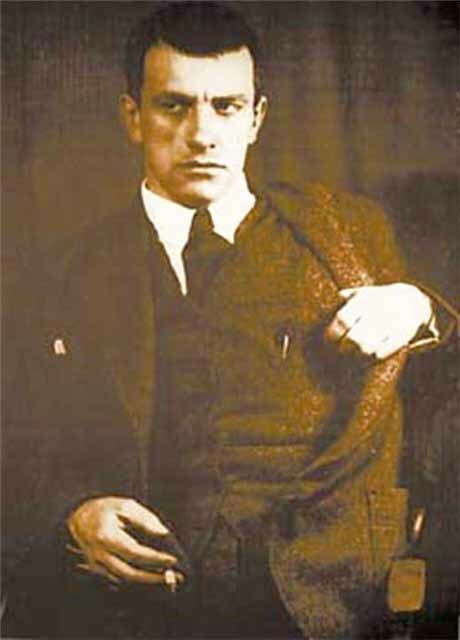 Mayakovsky’s innovations take a concise and original form, materialize in the free verse he preferred, with a powerful rhythm and meaningful resonant metre, which corresponds to the wishes of the poet that his work should be recited and communicated directly to the masses of listeners. 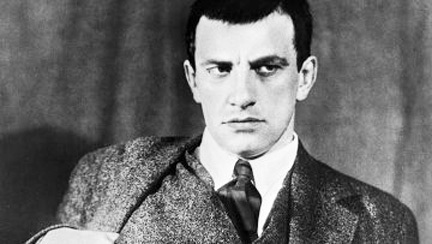 Mayakovsky’s creativity became in every direction the living embodiment of the socialist revolution. 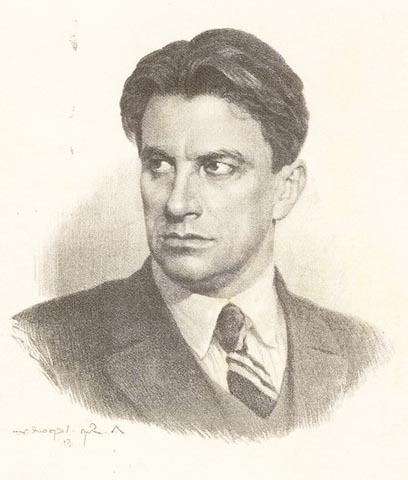 ‘Mayakovsky’, Stalin has said, ‘was and remains the best and most talented poet of the Soviet epoch’. 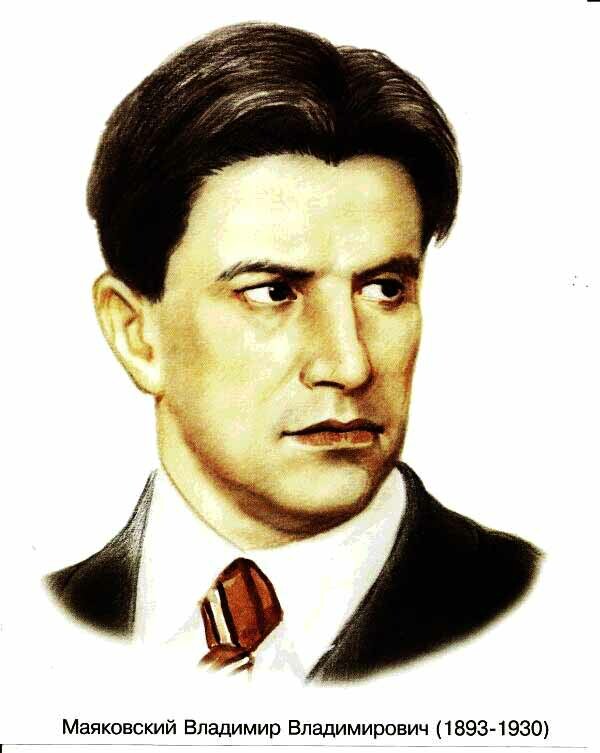 His work represents the first traditions of the poetry of socialist realism in the world, which every literature develops according to the time and national conditions. 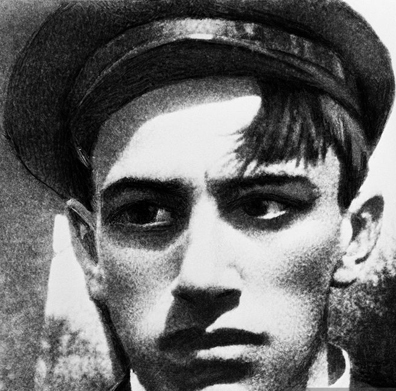 The poetry of Mayakovsky remains the symbol of innovation, of boundless broadening of the tasks and possibilities of the poetry of socialist realism, of the potentialities of the free personality who, armed with Marxist-Leninist ideology, creates the life and economy, the culture and history, of society. 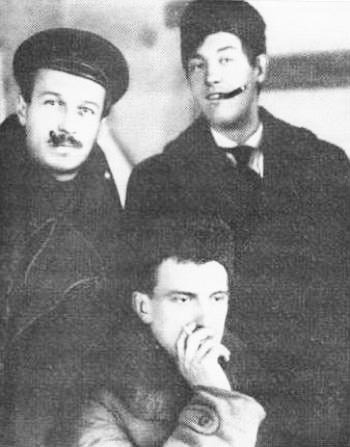 Source: Jakup Mato, Rinush Idrizi, Vangjush Ziko and Anastas Kapurani: ‘Foreign Literature’, Part Two, The Albanian Society, Ilford, 1987. 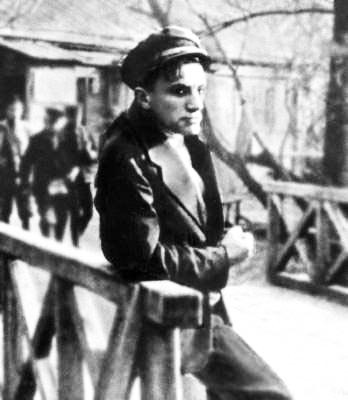 The 1918 film, written by, directed by, and starring, Vladimir Mayakovsky! (parts two, three, and four can be found here, here and here). "Art is not a mirror to hold up to society, but a hammer with which to shape it."